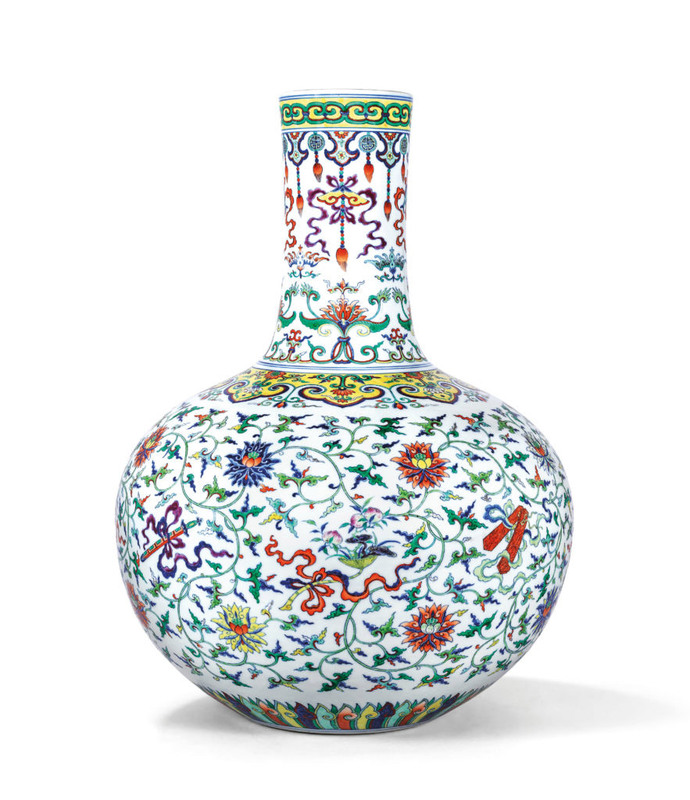 At a recent Christie’s auction in Hong Kong, our acquisitions budget made a transformative leap forward when a Chinese vase from our collection sold for $14.5 million. The endowment fund created by proceeds from this sale will increase the current Philbrook acquisition budget by nearly ten fold, allowing the museum far great flexibility and opportunities to grow the collection, fill current gaps, expand on current strengths, engage new artists, and mold the Philbrook of the future. A fine magnificent and extremely rare doucai and famille rose ‘anbaxian’ vase Tianqiuping (Qianlong period 1736-1795). Prior to the sale, the artifact languished in the American institution’s storage facility for over a decade, and museum officials ultimately decided to cash in on the vase to fund the institution’s acquisitions endowment.